To date, the CDF Firefighters Benevolent Foundation has helped 66 firefighters and their families. They have partnered up with We Fund A Hero to raise funds so they can continue to provide immediate financial assistance to firefighters who have lost their home due to the Camp Fire. The Foundation has also helped firefighters and their families who were affected by the Carr Fire in Redding. Please share the link so they can continue to support our members and other firefighters who have lost everything. Your contact information is vital. In case of an emergency or incident we need your correct information, especially your cell phone/email, so we can locate you to provide assistance. Make sure to also provide us with a cell phone number if you currently have a landline on file with us as cell phones are more reliable. If you have a PO Box, please also provide us with a physical address, which we will not use for mailing purposes. We are here to help. Help us find you. DON'T WAIT TO SIGN UP, CLASSES FILL UP QUICK! 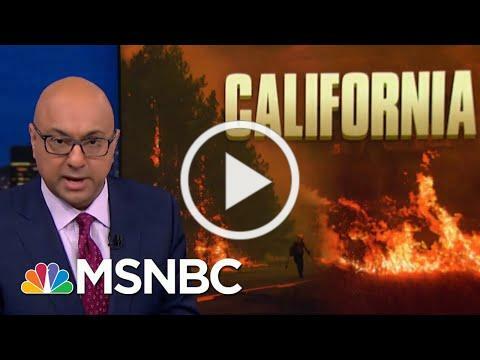 California is still being ravaged by wildfires, displacing thousands of families, destroying entire towns and forcing tens of thousands more to evacuate from all over the state. However, it isn't just humans that are suffering from the raging wildfires; reports of abandoned animals and families being separated from their pets have been flooding social media, along with plenty of pictures and video of the volunteers, firefighters and good Samaritans risking their lives to rescue them. Make sure you sign up to be a Retired CAL FIRE Local 2881 member so you can vote and be heard. If you feel like you can drive in any direction in the Bay Area right now and still be choked by smoke, here's the proof you're looking for. NASA's Earth Observing System Data and Information System, which takes high-resolution satellite images of the planet, offers some staggering perspective on the scope of California's wildfire crisis. Their image of California snapped on Nov. 10 shows nearly the entire state covered in a thin brown layer of smoke. (CNN) Last week, firefighters in southern California raced to save the lives of victims of a mass shooting. Just hours later, they sped off to battle two wildfires, several miles apart. They're still on duty four days later, fighting the Woolsey fire in Ventura and Los Angeles counties, and the Hill fire in Ventura County, said Los Angeles Fire Department Capt. Frank Lima, a union leader. "Those are two national news stories just on their own, let alone back to back right in the same footprint of ... 20 miles," Lima, a vice-president of the International Association of Fire Fighters, said in an interview on Monday. "That's tough, it takes a big emotional toll on you." "And as we're processing it and we haven't come down, then you throw another brick on there. ... It gets a little bit heavier." CHICO, Calif. - Casey Peck had never prayed so hard. Four people fleeing their flaming cars pounded on the firetruck's doors and were pulled inside, including a nurse from a nearby hospital with her pant leg on fire. The firefighters pressed fire-resistant blankets against the truck's windows to provide insulation against the searing heat, then waited out the firestorm. THE NEW AND IMPROVED CAL FIRE MUSEUM WEBSITE IS UP AND RUNNING! HEAD OVER AND CHECK IT OUT. JERRY AND THE TEAM WORK HARD ON THIS PROJECT. GREAT JOB! your unit or on an out of county assignment? Below is a list of both Active and Retired members that have bad addresses as of November 1st. If your name is on the list or you have recently moved, please contact Danielle at (916) 277-9885 or dkelsch@L2881.org to update your address.